And here's my first animated sig! Let me tell you, it was one of the hardest because I took the images from the wallpapers, and some of their limbs and appendages were either cut off by the borders or obscured by the titles. So I had to roll up my sleeves and just 'clone-stamp' my way outta there! Cool graphics you have here. I like the fact that you like to promote non-Pixar movies on the site as well as Pixar movies with your many wonderful graphics. Thanks, JSWeC! The movie industry should pay me for promoting their films, haha. To celebrate the release of Dreamworks' 'How to Train Your Dragon', here are some graphics for your perusal and enjoyment! Blurry scan from the 'Art of' book. Nice storyboard sequence of that 'drawing' scene. Promo sig for my videos. The Viking words meant 'Friday' and 'Saturday respectively. The font is 'Viking' from dafont.com. The dragon symbols were taken from the splash page when the main website loads. Five smelly fishes to the one who can guess the movie reference. The sound effect was done by playing with the 'Blending Options' and warping it into an arch. Feel free to use 'em, just leave me a credit line. Last edited by thedriveintheatre on Sat May 01, 2010 5:15 pm, edited 1 time in total. Those are some awesome graphics!!! You wanna know my fave: "Stealth Bomber". Thanks JSWeC and woody! I really only bother to get off my backside to make sigs for the movies I truly love, and this is definitely one of them! I especially like the last two, with the expressions, and with the sound effect spelled out . Enjoyable stuff, TDIT! Holy Chrysler, I just realised I haven't posted here for more than a year! BDD: Thanks, I'm glad you caught the Dances With Wolves reference! I always love reading your comments, especially since you're one of my frequent critiquers! Whelp, here's a buttload of graphics for ya. I guess the impetus for me to finally post 'em up is so that they can be considered for this year's Pixar Planet Awards. So please, do have a look and if you like 'em, nominate 'em! And if they stink, well, don't nominate 'em! Feel free to wear them, that would be the biggest compliment you can give me (although I also love criticism, as long as they're constructive). I'll post a second batch tomorrow. Those are all cool sigs! I especially love the "Bird of Blunder" sig. And one question. On the "Feeling Lucky" sig, what is the font you used to write "TDIT wishes everyone a prosperous lunar new year" ? You are such a great graphics artist! They're always nice to look at and are informative. I especially like your Princess and the Frog, Rango, and Rio ones. Well done! JSWeC: Thanks for your comments as always! I'm really proud of my take on Thor's "God of Thunder" tagline, it's me at my most corniest (which is not saying much, haha)! Regarding your query, I'll get back to you on it as the sig is on my Macbook Pro and I'm working off my Dell (migrating to a new OS can be a real pain!). EJE: Obrigado! I thought so, seeing as the three are among your favourite movies! Well, it's interesting that I've come full circle since my last post. This new one is again to qualify for the Pixar Planet Awards (How time flies)! I have made a couple more that aren't in this post because they don't qualify for the nomination period, but I'll put them in a future post. The following are graphics that are not Pixar-related, but you can pick either Pixar or non-Pixar graphics for Best Avatar and Best Sig, they're open categories. 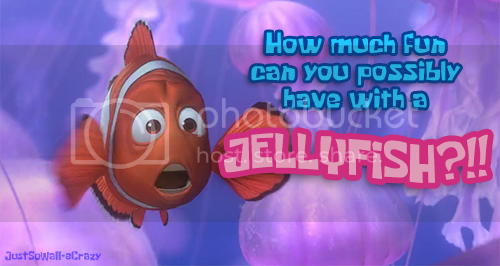 You can check out my Pixar Graphics HERE. If you like 'em, please nominate 'em! And, as always, feel free to wear them, it'll be the bestest-best compliment you can give me. Thanks for your consideration! It's true Amigo! I do love those movies! And I also love your "Diamond in the Ralph" sig. "Ice Knowing You" is a good one too. Great promotional sigs!